Belton Place is a progressive residential condominium developed by Eton Properties in Makati City. It is located in close proximity to some of the major places around the city and is a convenient place for both professionals and families. Each of the units is equipped with comfortable and convenient features. 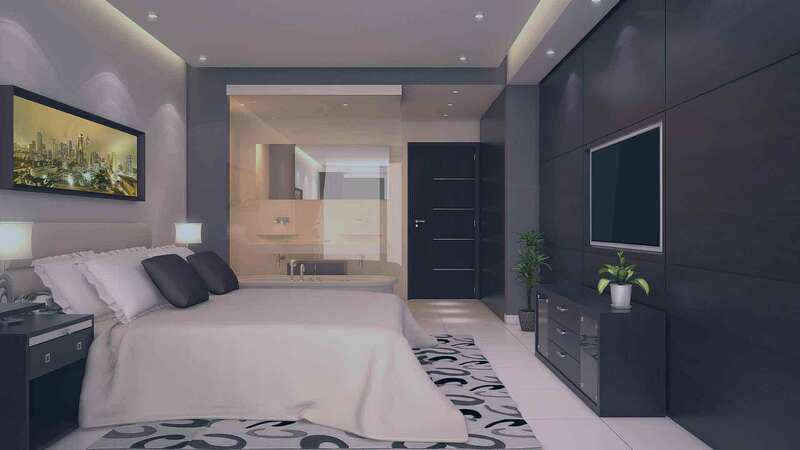 Currently, the property is in pre-selling stage and the units range from 15 to 35 square meters. It is known for its affordable pricing and the price ranges from Php 2.5M to 7.9M which is a great deal even for first-time buyers. It is a well planned residential complex in close proximity to many business districts and parks. It is a high rise property and is absolutely self-contained with every modern amenity convenient for all the residents. Belton Place is a high rise 36-story building located close to Ayala and Buendia. The complex is easily accessible through public conveyance which makes it even more convenient for the residents. With its strategic location close to popular landmarks, educational institutions, and multiple offices, it is perfect abode for young professionals, newly married couples and also expanding families. Over the years, Eton Properties has managed to develop some of the best housing society and residential condominium adding happiness to people's life. In less than a decade, Eton Properties has become one of the major players across the Philippines in real estate business. It is sub-company of Lucio Tan Group and is the real estate wing of the company. Eton Properties is known for creating properties both for high and middle-income groups. It has developed multiple horizontal residential developments, commercial complexes, office projects, township projects etc. So far, they have around 26 projects under their brand name with 7 high rise condominium already completed. Apart from that it also has 1 mid-rise development, 3 residential complexes, 2 commercial complexes, 3 BPO- offices and 1 event complex completed. It has also completed a couple of office buildings including Eton Corinthian Cyberpod and Centris Cyberpods. The units are available in different size according to the requirement of the clients. It is a progressive society designed meticulously for development of children with play options, convenient for young professionals and spacious for young families. The studio unit is perfect for single and young professionals with a floor area of 21 square meters, 1 BR unit is of 30 square meters and 2 –BR unit is 45 square meters. The multiple variations are floor plans and unit size brings together versatile requirement for people under the same roof. With its location in Makati City, there is scope for young professionals to climb up the career ladder and walk up to office residing at convenient distance. Makati city is a popular historical city with a lot of beautiful bygones and this further add to the charm of the residential complex. The Belton Place is surrounded by interesting and fascination neighborhood. Every unit is planned in a way that residents enjoy the amenities for comfortable stay. It is definitely a space that defines luxury and simplicity in the best way. The best part of every individual unit is 24 x 7 water supply, internet & cable TV lines and fire protection systems. It is very easy and convenient to purchase the property with Belton Place. There are easy installment plans and hence the customers don't have to take the load of paying the huge amount at one time. It indeed is one of the biggest financial transactions for many people and especially for first-time buyers, it is not easy to manage the transaction at one time. Eton Properties and its agents provide complete support to the customers so that everything is taken care of while purchasing the property. The property can be purchased in 10 or more easy installments and all the buyer need to worry about at one time is the down payment. A comfortable and convenient stay is what every desire for. A plunge in the swimming pool, staying fit by going jogging every day and helping children grow efficiently, is all one deserves and Belton Place is everything that one needs to enjoy life beautifully. The units are neatly designed and are fully equipped with every necessary amenity. A 1-BR unit is perfect for young professionals and small families while 2-BR is great for expanding families. The Belton Place is a high rise affordable development project and is a vibrant residential complex at heart of Makati City. It consists of a single high rise building but is well connected to different places and loaded with multiple amenities. The project being in pre-selling is ready for purchase and every support is provided by the developers to the buyers or customers. It is definitely a great place to invest in with growing industries and BPOs in Makati City. For those planning to invest, Belton Place is a resource and profitable investment. The price of the property is always expected to increase with time and renting or leasing the place after purchase brings a great return on the investment. It is closely connected to a number of the national highways and hence reaching the residential complex is very easy. The best part is the residential complex is closely situated to public transport transit and hence reaching from city to another is very easy. It is a vibrant and elusive residential place with every unit beautifully built and the entire residential complex located surrounding by serenity. Looking to outsource live chat operators? We recommend HelpDesk 24/7. Eton Properties Belton Place in Makati City, Philippines is a premier Condo project available for sale. If you're looking to rent or purchase Belton Place, then check here first. We have full details of Belton Place updated regularly as well as everything you need to know about the availing and booking process, broken down into stages that includes selecting a unit, choosing a payment plan and buying your dream home at the right price. For price list, free site tripping or showroom visit, personalized service, model house, unit plans, floor plans, payment terms, CHAT LIVE with an agent 24x7. We are Remax Perfect Homes. Always only buy from PRC licensed Real Estate Brokers and Agents.